Meet Fusion Job Coach, Kate Higginson, who works for bdht in Bromsgrove. 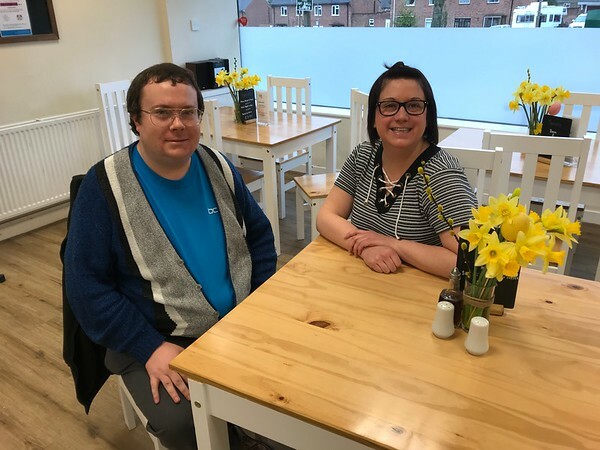 Kate offers support to people within the Bromsgrove area under our Building Better Opportunities project which is funded by ESF and match funded by the Big Lottery. Having always worked in Bromsgrove, Kate has great local knowledge and contacts, and has previous experience supporting people who are homeless or at risk of homelessness. This knowledge and experience has proven extremely useful in her role to date. I felt that it was a unique opportunity to provide tailored employment related support on a one-to-one basis. I felt that I had the skills to help people believe in themselves and to learn the practical skills required to meet their goals. A typical day starts at my base (at the Starlight Centre in Bromsgrove) where I prepare anything needed for the day ahead. An example of this would be if a participant has an interview I would prepare sample questions for a mock interview. I then meet with existing participants at a range of venues, including libraries and community centres. No two appointments are the same, as the actions are tailored to the individual needs of the participant. I may also meet with newly referred potential participants where a comprehensive induction takes place. I will then return to base complete any administration tasks and check if any new referrals have been received. By far the most rewarding part of my job is when a participant gets back in touch to let us know how they are getting on, for example to let us know that they are still in their job role or that they have passed the qualifications they were undertaking. Also nothing quite beats ‘The’ phone call from a participant to say they have been offered the job/apprenticeship they have been interviewed for. I have to admit I have let out a rather large scream of excitement at times! Challenging, Rewarding, Life-changing (that’s one word – surely?!?). My role as Job Coach involves me building supportive relationships with people who feel that it may be difficult for them to achieve their work or training goals. These difficulties may be lack of experience, lack of self-esteem, disabilities, or having restrictions such as childcare or other caring responsibilities. I help participants to see beyond their barriers and encourage them to realise that they can achieve, through empathy and encouragement. I coach people to learn specific skills that they may not have such as digital skills and support people in researching opportunities to learn, volunteer or generally feel happier in themselves (such as wellbeing groups, fitness). My role also involves supporting people to complete application forms, ensuring that their skills are highlighted to a potential employer and undertake interview practice to help them to feel as confident as possible, to nail their interview. If you would like to chat to Kate about how she could support you, you can contact her on 07590 860844 or kate.higginson@bdht.co.uk.